You guys. I’m going to jump right to it. 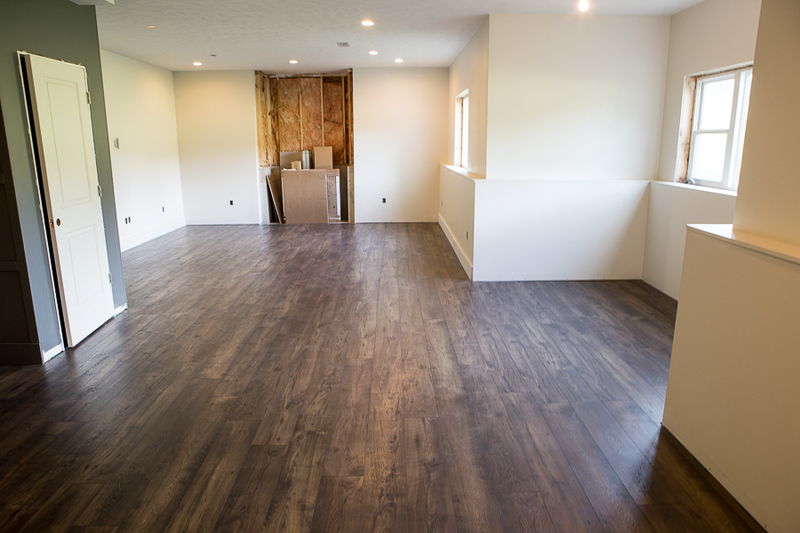 The basement flooring is finished! We’ve been doing SO many projects down there that it took a minute to get it actually cleaned up (aka sawdust for days!). Wanna see? Did you just gasp? ‘Cause I gasped. And I know what it looks like! That concrete floor has been taunting me for years, and I silenced with some good ol’ Pergo flooring! Woot! What’s my name, concrete? What’s my name?! Clearly, we have a lot of work to do. That huge hole in the wall could use a giant fireplace. 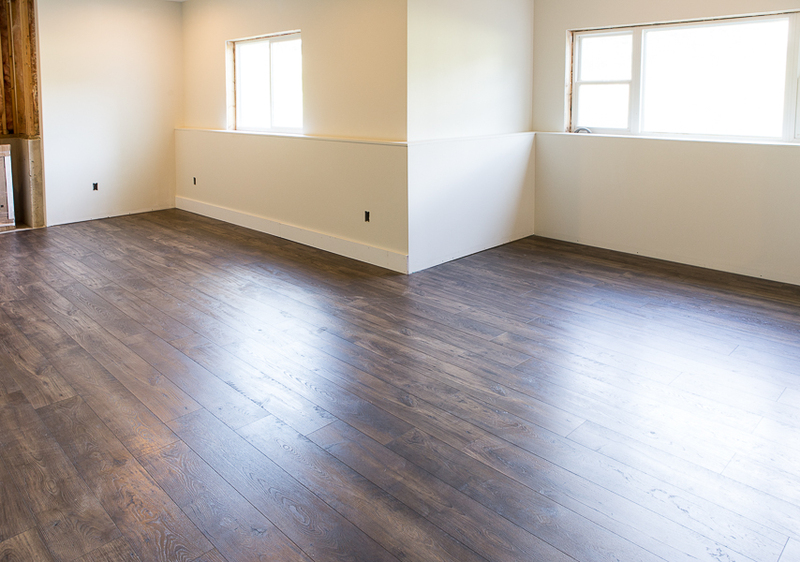 But really…do you even notice it with that gorgeous Pergo floor whispering gently to you? It’s not a scary whisper. But…all whispers are a little scary, eh? I’m calling it now. 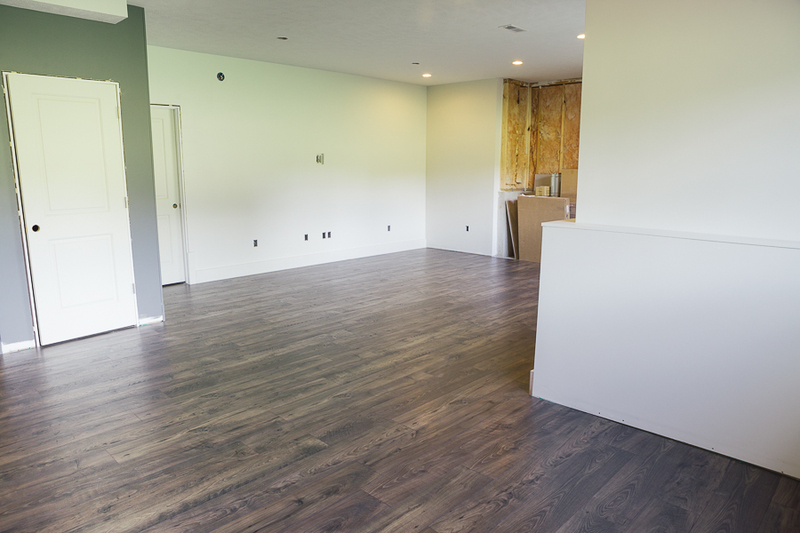 Getting new flooring is the game-changer. There are so many layers that need to be done, but this makes it a room! A room I want to send my teenagers down to. Like STAT. You obviously have a bit of a sneak peek here. 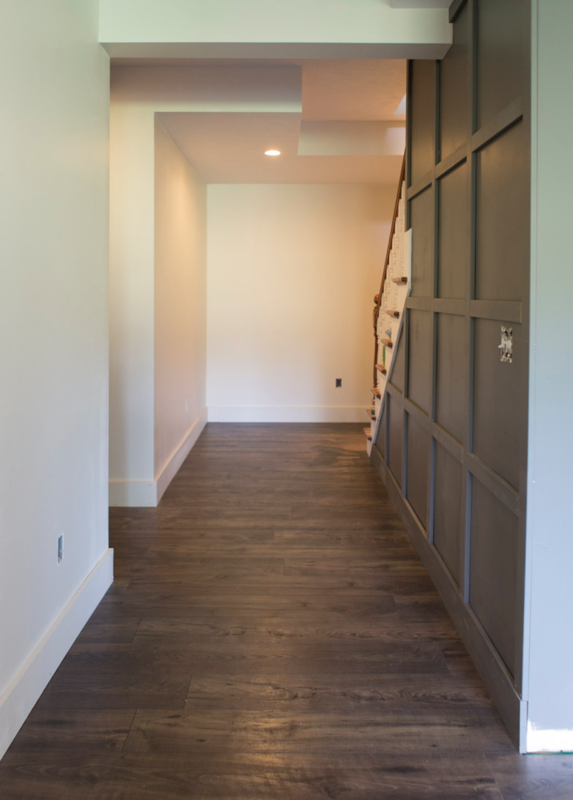 We’re doing some cool trim work in certain areas, and that Smoked Chestnut goes perfectly with the paint I’ve chosen. Score 1 for Chris. My story (and love for!) with Pergo is not finished yet. 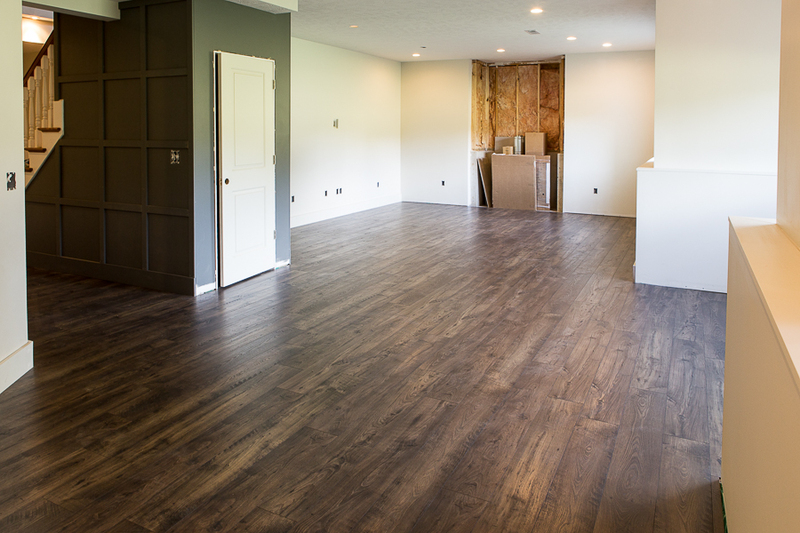 Would you believe me if I said my in-laws loved our floor so much that they had their entire main level done with Pergo Laminate?! You should believe me. ‘Cause it would be weird to bring that up if it wasn’t true. I can’t encourage you enough to try out Pergo. Grab a sample (or 10) to see if Pergo works for you (it will). I am beyond happy with ours. Happy shopping! Disclaimer: I am partnering with Pergo floors for this project. They have provided me with the materials needed, but all opinions are my own.